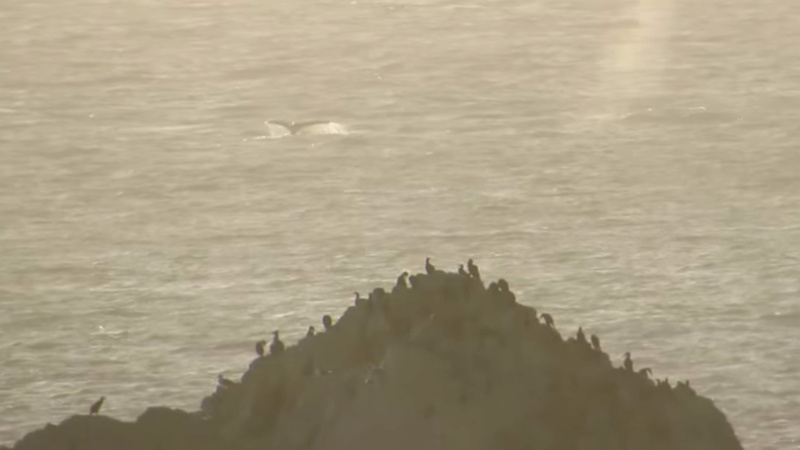 SAN FRANCISCO (KGO) -- Among the marine mammals showing up recently in San Francisco's Ocean Beach, a couple of whales were spotted on Monday night. Video taken from Jim Dikel's roof at 47th Avenue and Balboa Street in the Outer Richmond District around 7:30 p.m. shows the majestic creatures. Tap here to view if on News App. Just as the sun was setting near seal rock, two whales surfaced and were seen swimming along Ocean Beach.